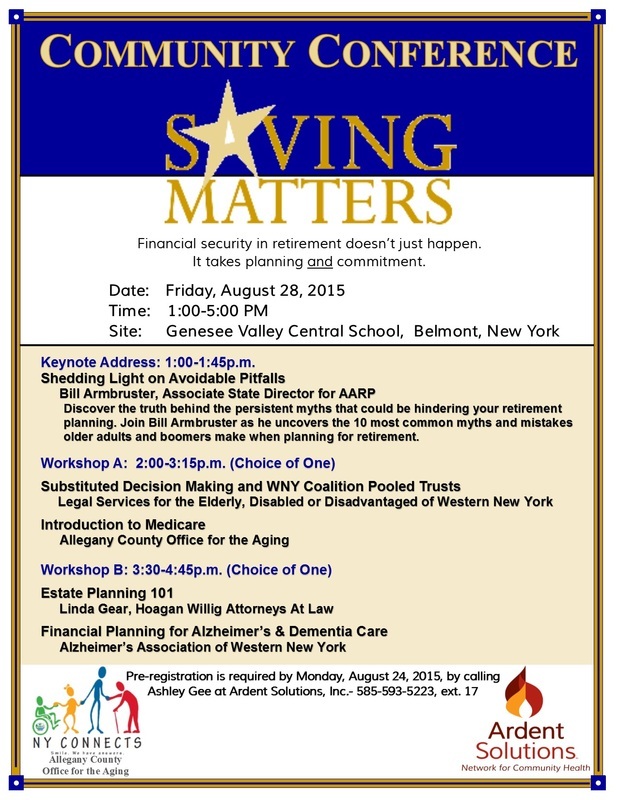 Saving Matters- Community Conference - Ardent Solutions, Inc. Thank you for registering for the upcoming Saving Matters- Community Conference on Friday, August 28, 2015, from 1:00p.m.-5:00p.m. at Genesee Valley Central School, Belmont, New York.